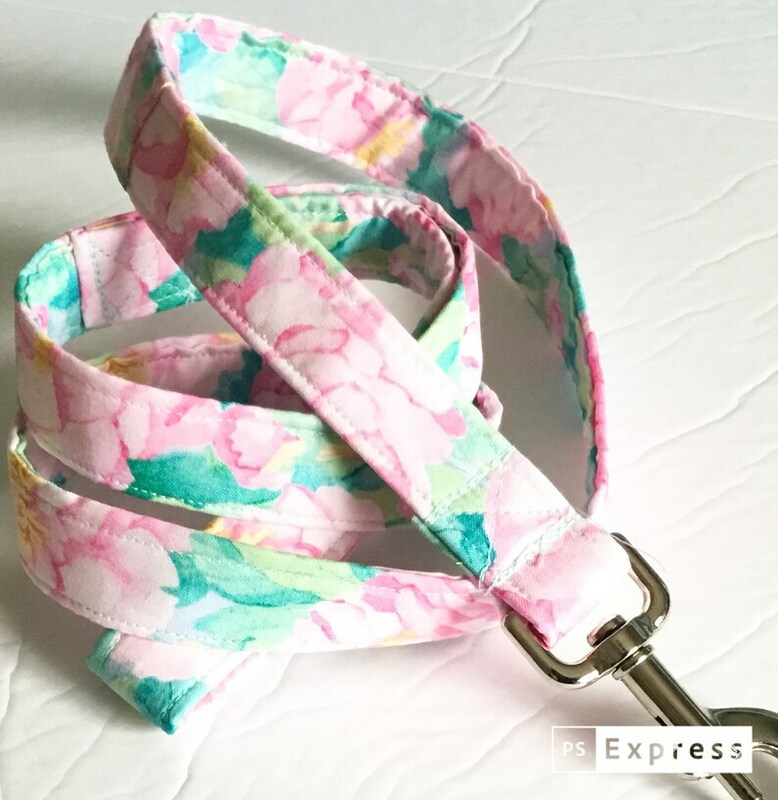 Take your girl doggy for walks during the Spring and Summer using this pretty Pink, Turquoise, and Aqua Floral Leash. The leash does come in 1,2, 3, 4, 5, or 6 foot length and can be purchased with an additional D ring that will hold waste bags during your walk. All of my leashes and collars are custom made and are available in any fabric of your choosing in my shop. I can also custom make a leash with colors and styles of your choosing other than what is in my shop. Please contact me via email in regards to this. This leash can be purchased in 1 FT, 2 FT, 3 Ft., 4 Ft., 5 Ft. & 6 Ft. lengths. The width choices include 3/8", 5/8", 3/4" or 1". The pet leash is constructed of durable cotton fabrics, medium weight interfacing, medium weight webbing, heavy duty nickel plated swivel hook at the base of the leash for easy attachment to the collar, and reinforced stitching for long lasting durability and strength for your dogs outings and daily walks.for long lasting durability and strength. Wash on delicate cycle in cold water. Lay flat to dry.